Type 2 diabetes can be more than damaging to your eyes, kidneys, and heart; it can be damaging to your brain. It has been found that it can increase the risk of developing cognitive impairment and even dementia in patients in their mid – to – later years. It is important that type 2 diabetic patients should have their blood sugar checked regularly especially if they are middle-aged or older. Studies have found that people with type 2 diabetes seem to develop dementia at a higher rate than those without diabetes. Impaired insulin secretion, glucose tolerance, and insulin resistance are all diabetic factors that play in the increased risk of dementia in people, even if they are not diagnosed with diabetes. If a person’s body does not utilize its glucose or insulin in the proper way, it can lead to damage to the vessels in the brain. 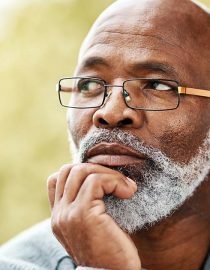 If a diabetic is treated with medications, the result is improved cognitive functioning and there is less of a cognitive decline compared to people with uncontrolled blood sugar. It goes to show that if you have good blood glucose control, you can stave off the possibility of cognitive decline. There is much need for more research into this theory, but it is possible that by eating a healthy diet, you can keep your brain healthy. Why Do Diabetes and Dementia Occur? Diabetes damages blood vessels and it is no different when it affects the brain. The vessels in your brain can be damaged by the high levels of glucose that your blood pumps through. It is believed that diabetes contributes to the buildup of plaques in the brain as well as the inflammation and oxidation process that damages the vessels. If your blood vessels do not efficiently carry oxygenated blood throughout your brain, you can have cognitive decline and a risk for dementia. You might also like...I’ve Just Been Diagnosed With Type 2 Diabetes. Now What? Lose extra body fat: Being obese increases your likelihood of having type 2 diabetes. Exercise regularly: Doing so will help reduce your chance of insulin resistance and burn extra blood glucose. Reduce your intake of processed foods. Fatty, salty, and sugar-laden foods increase the risk of developing the disease. Eat foods low in saturated fats and partake in more natural foods like whole grains, and fruits and vegetables. Limit your alcohol intake. Too much alcohol can increase your risk of diabetes. You may have a genetic tendency toward diabetes and may still have it after doing all the right things. However, you can still be treated with medications and prevent dementia by staying compliant with your treatment regime. Be sure to have your blood sugar monitored by your physician and follow his/her advice. Diabetes can be managed with you taking control of your lifestyle. You can reduce the chance of diabetes and dementia by eating the right foods, exercising, and taking any prescribed medication.